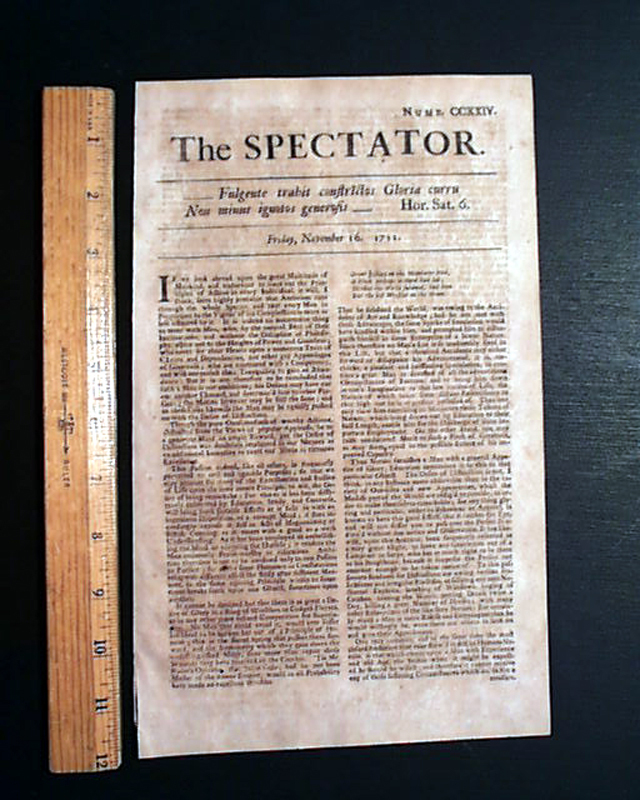 Item # 120488 THE SPECTATOR, London, England, 1711-1712 One of the more famous of the early newspapers and by the famed Addison & Steele. Nice condition, some light browning. A single sheet issue measuring 8 by 11 1/2 inches.